It’s no secret that riding a bike (or a trike) is a fantastic way to free yourself from the trials and tribulations of modern life. And it’s a form of therapy that’s more fulfilling, and less intrusive, than sitting in a stifling consultation room with a crusty old dear trained in asking questions who patiently waits in silence for you to break down in tears and start talking about your childhood. It’s not just riding a bike that can be good for the soul; building and working on bikes can be just as therapeutic. Andy Clark knows that, for several reasons. Firstly, he’s been riding bikes for more than 36 years, having never held a car licence, and he’s also spent plenty of time working on them, having been a fabricator and welder in former lives (working in the jewellery quarter in Brum before the financial crisis), and is practised at building and restoring bikes (he has a soft spot for building cafe racers from Yamaha XS400 twins). 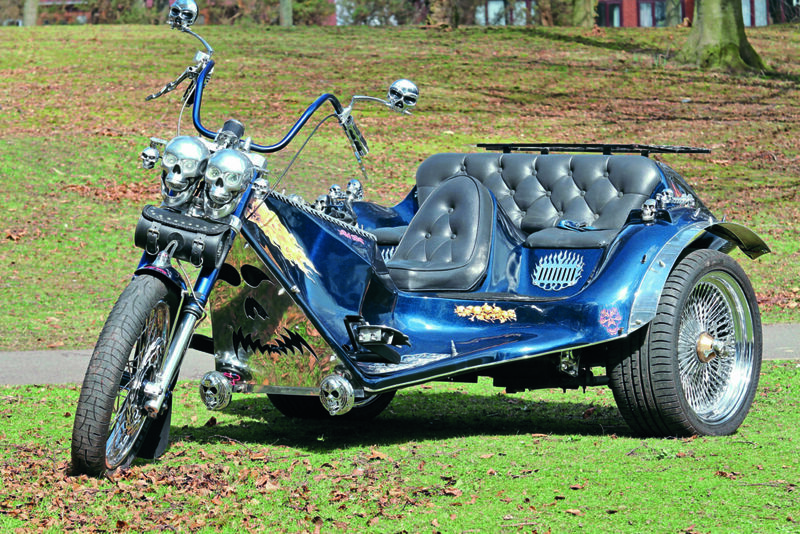 Over those three-and-a-half decades of riding, he’s had more than his fair share of accidents, and they were starting to take their toll so he decided that, as he’d never want to confine himself to a car or van (and, besides, he didn’t have a licence for them), he’d try a trike instead. 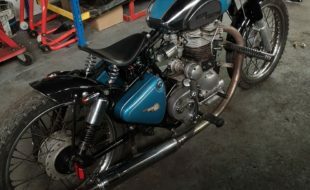 After some searching on internet auction sites, he found a trike body, frame and Volkswagen engine, with the seller claiming that it’d originally been built by the legendary Uncle Bunt’s Chop Shop back in the day. 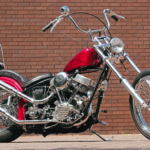 The original Uncle Bunt’s, in Frogs Island Sawmill, Wallingford in Oxfordshire, was run by John Reed before he moved stateside to become a designer for Custom Chrome, and he was rumoured to have done a few trikes, including the Z1300-engined one that was styled like a GPz 900R. 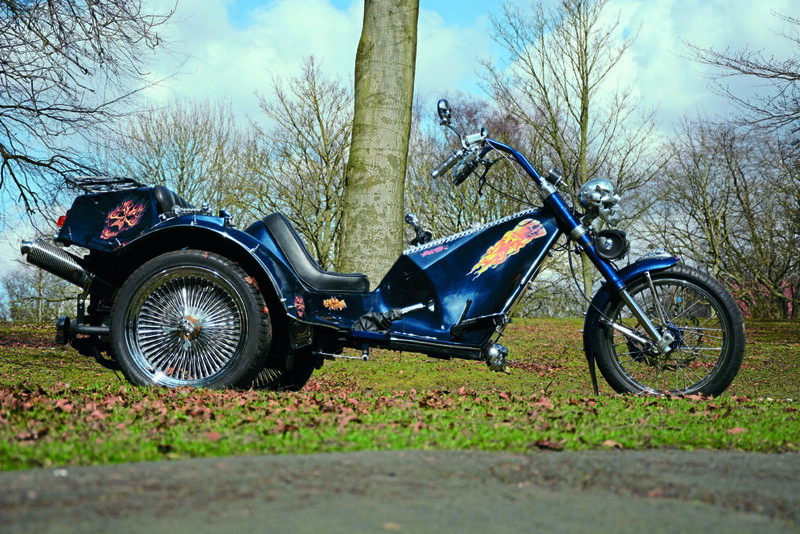 The only proof of this trike’s provenance, though, was a picture that’d been sourced from eBay of a trike of the same style with the label ‘Uncle Bunt’s’. 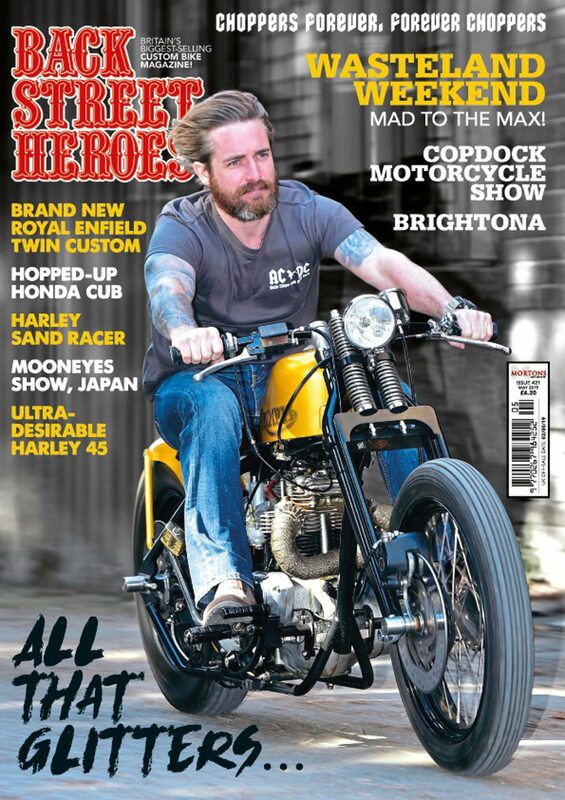 Fortunately, Reedy himself was kind enough to explain to me that he had, indeed, built a couple of Veedub-powered trikes in 1979, with the exact same bodyshell as Andy has. Result! 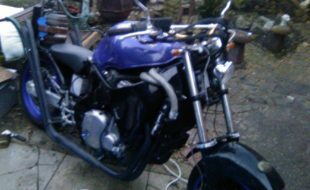 Due to ill health, it took Andy a full three years to recommission the trike, working on it, off and on, when he felt up for it. 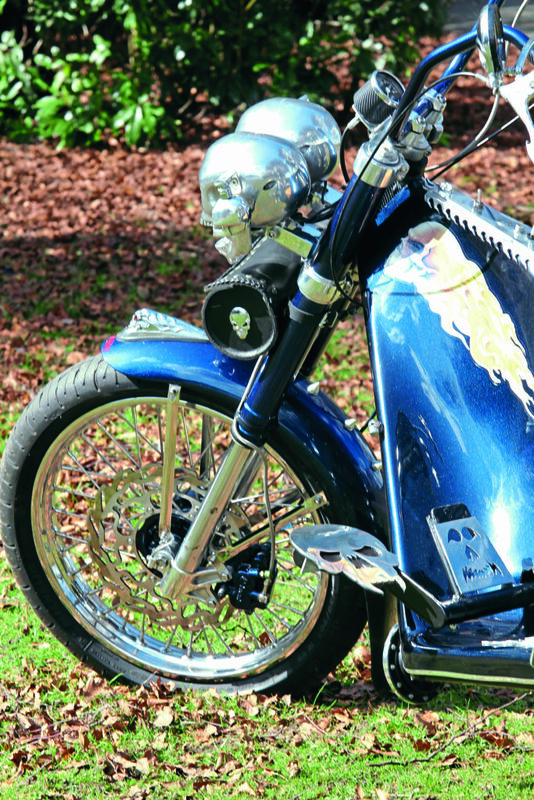 As he’s able to build most parts himself, thanks to the previously mentioned engineering experience, this proved to be a therapeutic pastime that helped him to get through the dark days, and the work that he did is comprehensive; all of the cut-out aluminium sheetwork – the rider and passenger footboards, the vent covers below the passenger seats, the luggage rack, the flame-edged dashboard, the rear light holders and the front body cover – were all cut out and filed smooth by him. By hand. And then polished. Again, by hand! 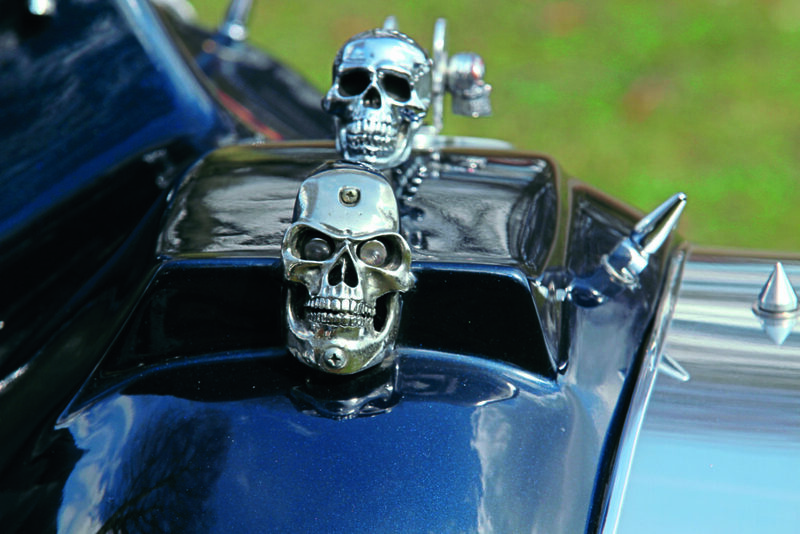 He took some belt buckles bought from Alchemy Metal-wear, in the form of the popular Alchemy skull holding a rose between its teeth, and converted them so that one has the indicator warning lights in its eye sockets (one in each for the appropriate side indicator), while the other has the high beam and engine oil light. 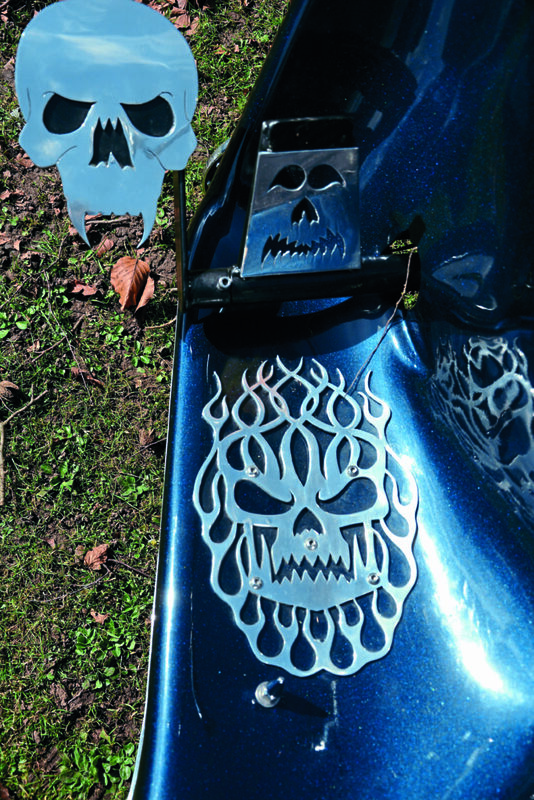 There are also numerous skulls at the rear of the trike that hold the brake and tail-lights, as well as the most obvious skulls – those that hold the headlights, as made by Zeus Customs. 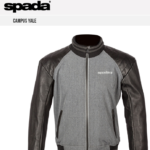 They weren’t cheap, but Andy’s mum bought him one for Christmas. Over the 36 months, the hardest part was getting the camber right with the wheels as they went on with the knock-offs. To start, the trike looked as if it was doing the splits, and the first time he took it round the block he popped a wheelie as he’d never driven with a foot clutch before, and nearly went through his mate’s garage. Then, as he was going round the block, one of the rear wheels started to come loose as the knock-offs’d been put on the wrong sides! They’re now marked as to which side they go on, so that mistake won’t be happening again. 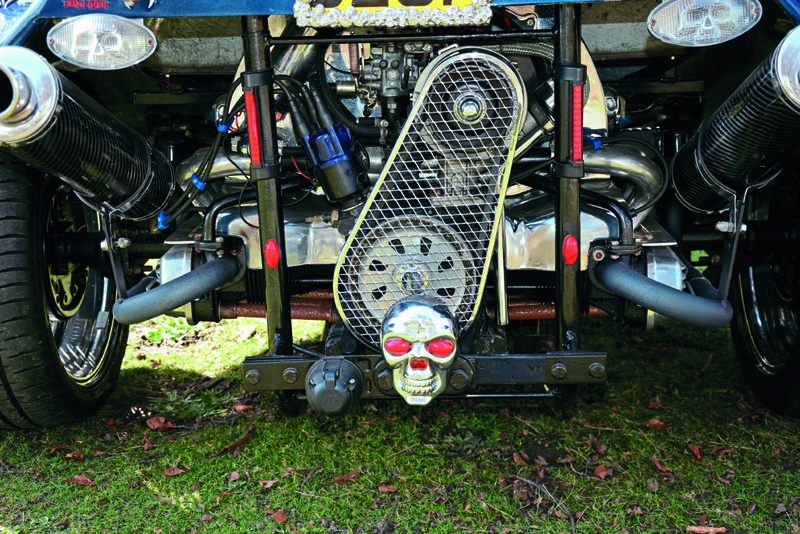 Initially, he was going to convert the trike to an automatic gearbox but, thanks to a new pair of hips (again, thanks to the aforementioned accidents), he’s now got used to the foot clutch. At the time that the pics were taken, he’d only done about 200 miles since it was completed but, given the glorious weather we’ve had this summer, there’s little doubt that he’s set for getting the mileage into the thousands. The therapy continues!